Over 500 people, including about 275 K-12 students from across the state, are expected to attend the NC State College of Education’s first STEM Education Day Saturday, Sept 23, from 10 a.m. to 1 p.m. Faculty, staff and students with the College of Education and the College of Sciences’ Department of Biological Sciences will lead 20 hands-on, interactive activities and demonstrations designed to foster interest in STEM fields and encourage K-12 students to consider STEM education, including teaching, as a career. How Did Your Body Make that Happen? | Did you know your body can be used to conduct electricity? Test out your conductivity by using Energy Sticks. Engineering@Home | Have you ever seen a machine that uses chain reactions to do a simple task? Challenge yourself to build one in this unique design challenge. The Science of Food | Feed your mind (and your belly) during this interactive demonstration and enjoy learning about the chemistry, microbiology and engineering that goes into your everyday food experience. Robotics | Use basic coding to program robots to complete simple tasks in a competition-like setting. Hoopster: New Paper Airplanes | Most paper airplanes are flat–but these paper hoops can really fly. Bones as Books: Using Skeletons to Tell Stories | View and touch animal skeletons, learn about the processes bones undergo to become fossils, and work backwards to think about how these animals may have lived–and died. Straw Rockets | Design a rocket that can be launched from a soda straw and test your engineering design strategies. 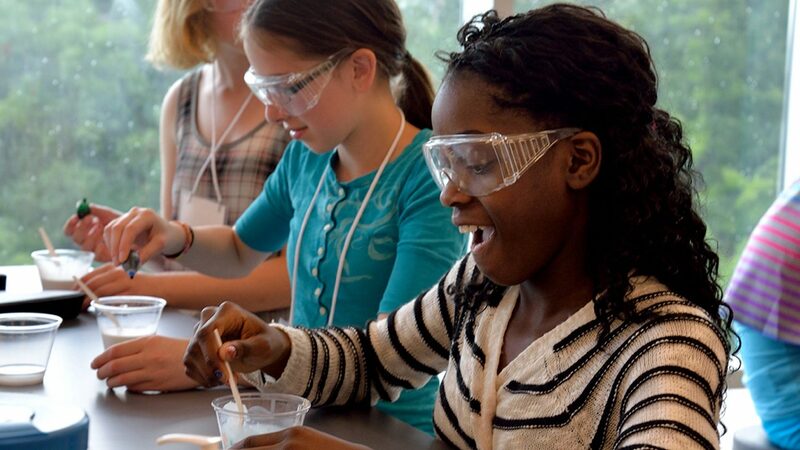 Pre-registration is required to attend STEM Education Day. Registration has closed.